Ohio enforces several laws to protect workers from unpaid wages. The majority of these state statutes appear in section 4111 of the Ohio Revised Code, which spells out requirements for employees to pay a minimum wage and to offer overtime pay to hourly employees who put in more than 40 hours of work during a workweek. Special wage and hour protections also exist for disabled workers, workers between the ages of 14 and 18, women who do the same jobs as men, state contractors, and individuals with negotiated employment contracts. Seeking protection under state minimum wage, prevailing wage, child labor, equal pay, employment contract, and overtime laws requires collecting and organizing a great deal of information. Asking for those details can anger managers and supervisors. 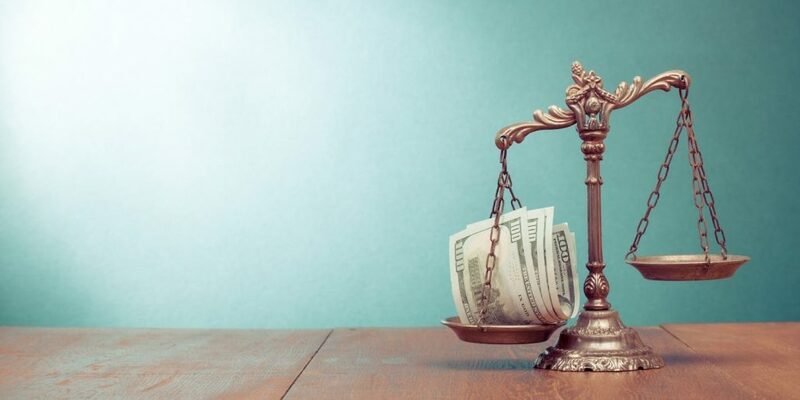 Working with a lawyer who has handled numerous unpaid wage cases will make it possible for you put together a strong case for the payment of back wages and the correction of illegal and unfair payment practices. Your lawyer can also take steps to protect you from retaliation like getting fired or demoted for looking into problems with pay. Brief details on four of the most important wage protection laws in Ohio follow. You can learn more and discuss a possible unpaid wages case with an employee rights attorney. Free and confidential consultations with a Columbus, Ohio, unpaid wages attorney can also be scheduled by filling out this online contact form. On Jan. 1. 2018, Ohio’s minimum wage for most workers will increase to $8.30/hour from the previous $8.15/hour. Tipped employees like bartenders and servers can be paid a lower hourly wage of $4.15. Pursuant to the Ohio Constitution, employers must keep detailed records of the hours each employee works, how much they pay each employee, and whether employees accept tips or commissions. The rules used to enforce the minimum wage law ensure that all employees earn at least the hourly rate. This means that, as of the first day of 2018, even tipped employees and those who take commissions must average at least $8.30/hour. Tipped employees can be paid an hourly wage plus tips to equal $8.30/hour. Ohio follows guidelines established under the federal Fair Labor Standards Act to determine which employees qualify to earn overtime. These laws are very complex so it is best to consult with an Ohio overtime lawyer to discuss whether or not you are entitled to overtime pay. Importantly, tipped employees are eligible for overtime. This will continue being true even if the other rules change. Under section 4109 of the Ohio Revised Code, children can start working at 14. A few exemptions exist for family-owned businesses and farms. Teens must have signed authorizations from parents or guardians to work before turning 18. They are also barred from taking certain dangerous or highly skilled jobs like those in many factories. When a company or agency hires a teen, it must pay him or her at least minimum wage and comply with restrictions on work hours and mandatory breaks. Violating a rule like the one that requires a 30-minute break after five hours on shift makes the employer subject to fines and other penalties. Ohio does not require employers to offer paid vacations, severance, or other employment benefits. When individual employees or group of employees sign contracts that specify such benefits, however, employers must provide them. A skilled Columbus, Ohio, wage attorney will be able to review, negotiate, and help enforce employment contracts on behalf of employees. http://www.findattorneys.org/wp-content/uploads/2018/06/What-Ohio-Labor-Laws-Protect-Against-Unpaid-Wages-e1527855608485.jpg 450 900 Mike http://www.findattorneys.org/wp-content/uploads/2018/02/findattorneys.org_-3.png Mike2018-06-01 12:20:322018-09-21 09:44:50What Ohio Labor Laws Protect Against Unpaid Wages? Home Care Workers: Overtime and Other Wage and Hour Law What Kinds of Financial Losses are Recoverable in a Personal Injury Claim?